Rico Garcia does not have any MLB stats for the season. Draft: 2016, Colorado Rockies, 30th rd. 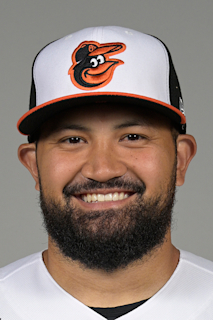 February 6, 2019 Colorado Rockies invited non-roster RHP Rico Garcia to spring training. September 15, 2018 Hartford Yard Goats activated RHP Rico Garcia from the temporarily inactive list. September 1, 2018 Hartford Yard Goats placed RHP Rico Garcia on the temporarily inactive list. July 2, 2018 RHP Rico Garcia assigned to Hartford Yard Goats from Lancaster JetHawks. March 30, 2018 RHP Rico Garcia assigned to Lancaster JetHawks from Asheville Tourists. July 28, 2017 RHP Rico Garcia assigned to Asheville Tourists from Boise Hawks. June 14, 2016 Colorado Rockies signed RHP Rico Garcia. June 14, 2016 RHP Rico Garcia assigned to Boise Hawks.